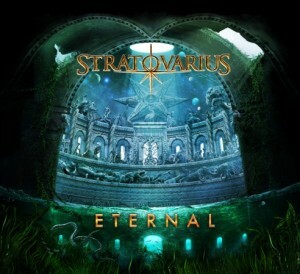 New Stratovarius album “Eternal” out Sep 11th!!! Finnish symphonic metal originators Stratovarius have set the release dates for their brand new studio album “Eternal” on September 11th, 2015 (Europe) and September 18th, 2015 (USA) on earMUSIC. The album will be released in 3 formats: Standard CD Jewelcase, Limited Deluxe Edition (CD + DVD mediabook incl. live video tracks recorded at Loudpark Festival 2013 in Japan) and Double Vinyl Gatefold. ‹ Stratovarius talented musician competition!